LOV Kombucha is a superbly refreshing and top quality kombucha brewed in Barcelona with only the best ingredients and lots of love! 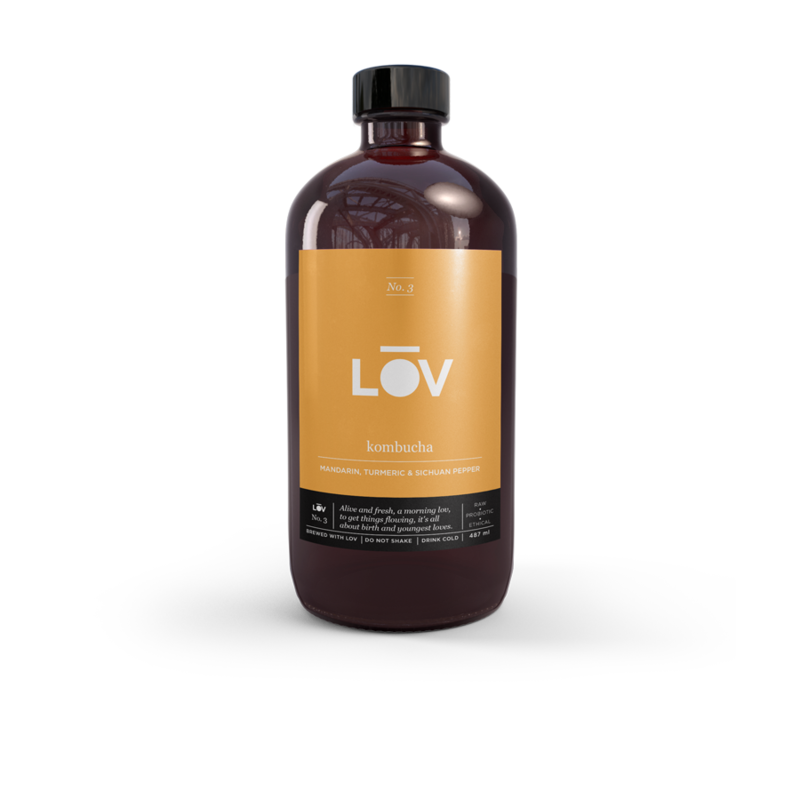 At LOV Kombucha we would like to send you some LOV directly to your inbox! Just subscribe to our newsletter! Besides providing you with a superbly refreshing and memorably tasty “Booch” brewed with only the best ingredients we can find, LOV Kombucha aspires to be a small part of something bigger that is currently rising up around us, inside and outside the world of business : consciousness. Our Kombucha project is the embodiment of our desire to be part of this game changing movement that is generating mindful and conscious initiatives all around the world. A movement that strives for wholeness in our daily life, redefining our family, our community, our workplaces and inevitably our society along the way. Fermenting the world, connecting guts and spreading LOV… one kombucha at a time! Wanna know more? Read about it in our blog! Kombucha is a non-alcoholic fermented drink which is bubbly and delicious! It’s the completely natural end product of the fermentation of sugared tea using a symbiotic culture of bacteria and yeast, helpfully known as a ‘SCOBY’. A SCOBY is a living super-organism which drives the metabolism of sugar in the kombucha tea resulting in a restorative drink with an abundance of probiotics, organic acids and nutrients. Kombucha has antioxidant and detoxifying properties, can support digestion and help balance and re-diversify your gut flora. It’s refreshing, vibrant and simply tastes amazing! Our kombucha is naturally low in sugar which makes it a healthy alternative to soft drinks and even a cocktail mixer when you feel like something a little bit fancier. LOV kombucha is an authentic raw, probiotic, organic and ethical product. To the highest quality of ethically source organic black, green and white teas, we add fairtrade cane sugar along with the finest organic herbs, roots and fruits. The resulting flavours are tasty, clean and balanced. No preservatives or chemicals are added and we DON’T pasteurize our kombucha, so all these healthy probiotics remain alive and kickin’ so you can enjoy the benefits. We simply don’t do shortcuts! We take tremendous pride in what we put into our product (including a lot of LOVE) and you can taste it in every flavour. nothing needs to be so special at the end… tasteful and simple! things flowing, it’s all about birth and youngest loves. Whether you have a question for us or if you have any suggestions or observations about our products, or you simply want to say hi, just use the form to contact us!